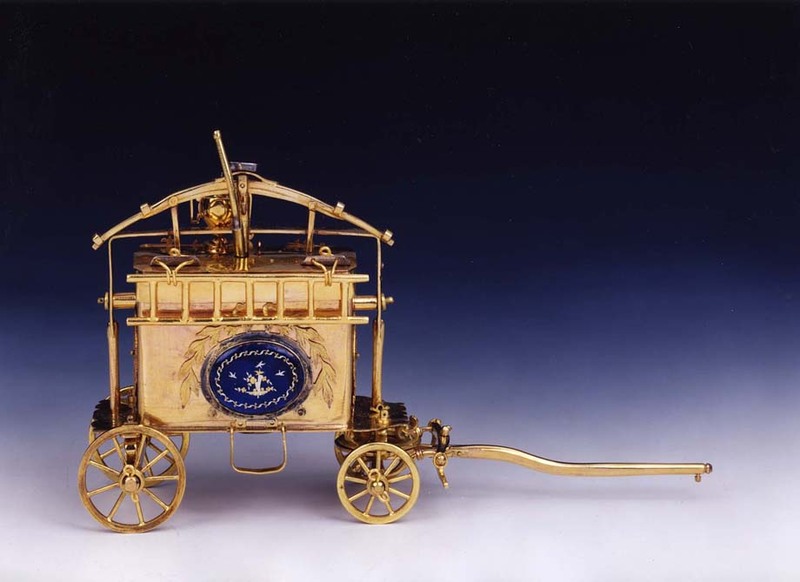 A highly unusual miniature fire-engine executed in ormolu with mother-of-pearl and blue enamel decoration. 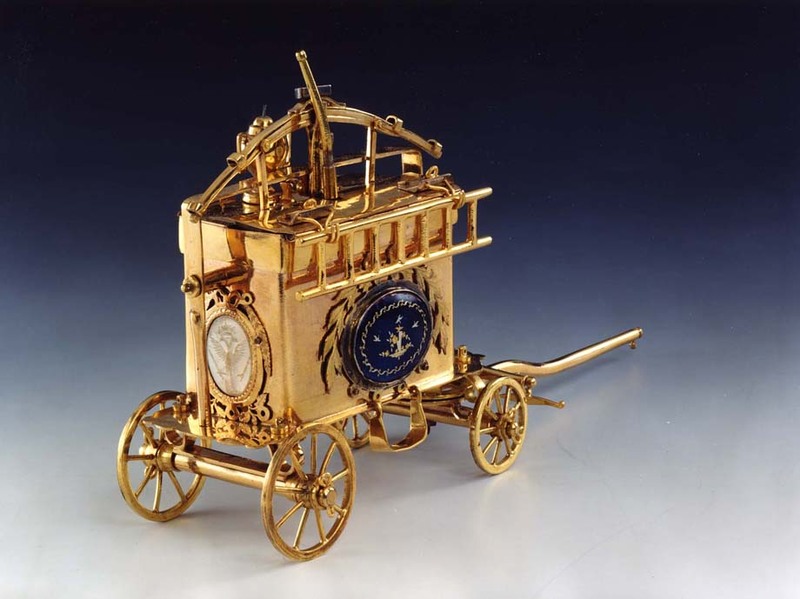 Originally a working model for spraying perfume. 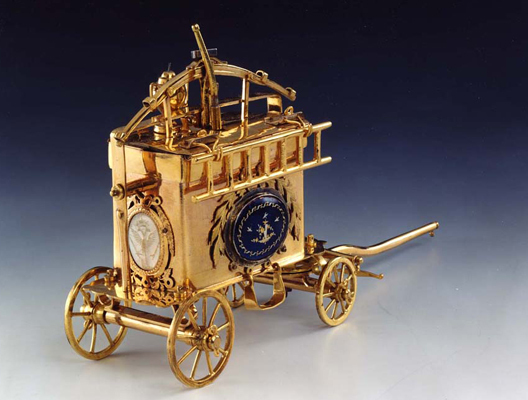 A mother-of-pearl oval panel at the rear surrounded by an ormolu frame represents the DOUBLE HEADED EAGLE. Two blue enamel panels on the sides with birds flowers and vases. The front panel is inset with gold stars on a mother of pearl background. 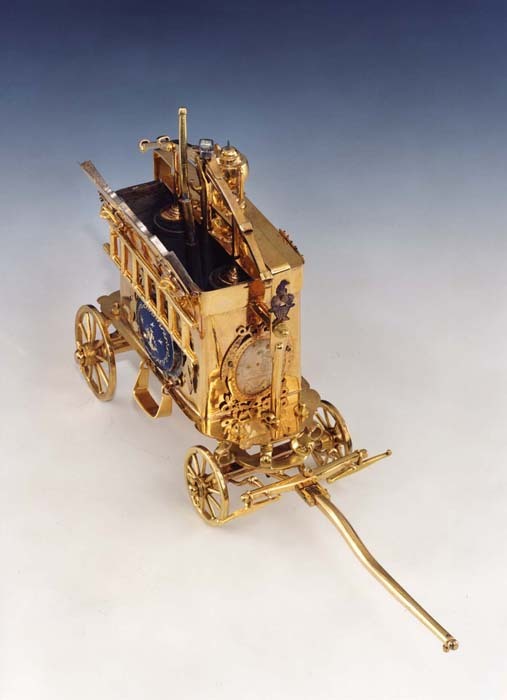 The top opens to reveal the mechanism for blowing out perfume. 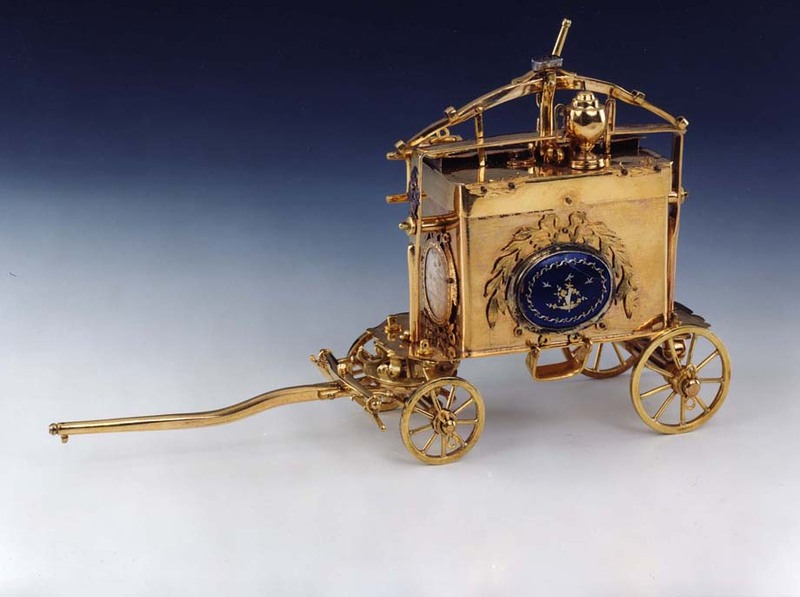 The carriage is of superb quality ormolu and retains small areas of silver surrounding the blue enamel panels. Max Height 5in (12.5cm). Maximum width 8 3/4in (22cm). Maximum depth 2 1/2in (7cm).